Feeling frustrated or overwhelmed in Illustrator as a beginner? Trying new techniques as an experienced user? One of my favorite parts of having a YouTube channel and Website is being able to interact and support other artists and students going the the process. Here are a few ways to get Adobe Illustrator online support based on your needs, public profile, and level of subscription. In the most recent videos, there is a push to watch the tutorials on a secondary device such as your phone or tablet. A high percentage of you are watching them on YouTube which gives you access to immediately ask a question on a tutorial or if you get stuck or frustrated. This is my recommended method and is the fastest in terms of response time since I am checking YouTube Comments the most frequently. You will notice on our Getting Started, Beginners Guide and Challenges that the first comment in YouTube is a Helpline. If you "Like" the comment a notification hits my phone that you need help. Write a NEW comment with your question and the time in the tutorial you are stuck at. The NEW comment is at the top of my list in my comments section. (If you respond to an existing comment it gets buried in my comments section.) This improves the YouTube App notifications on my phone so I can respond faster. For our email subscribers (Tutorial Resources) you will get an Illustrator Support email. You can simply reply to that email to send me questions directly. This will be preferred for email subscribers who wish to send in an image with their question. A notification also hits my phone so I can respond faster. New Series answering your Illustrator Questions for beginners or experienced users. 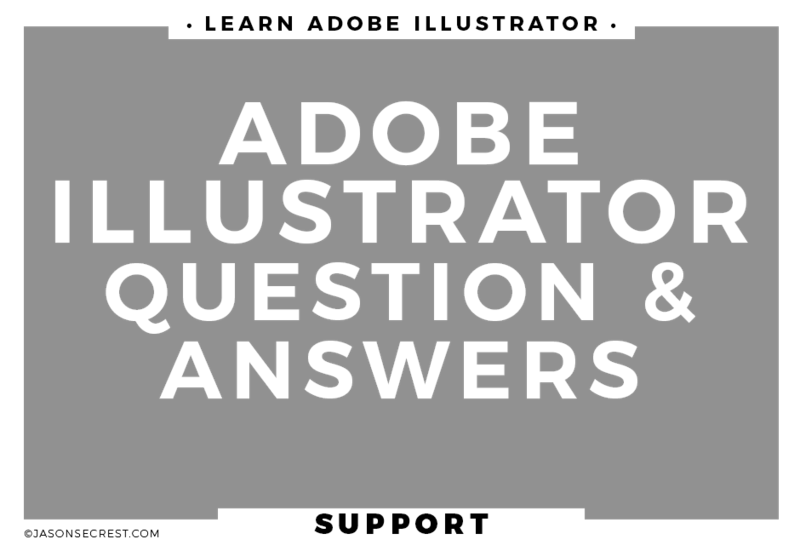 How to ask questions and get support to your Adobe Illustrator related questions. Are you stuck? Ask More Questions? Not getting Answers? Ask More Questions?